With winter fast approaching, the Cold Weather Plan for England has been published by Public Health England (PHE) today, in collaboration with the Department of Health, NHS England and the Local Government Association (LGA). A Winter Health Watch website - https://www.gov.uk/government/organisations/public-health-england/series/winter-health-watch - has also been launched that brings together PHE’s weekly monitoring of winter-related illnesses and deaths. There are on average 24,000 excess winter deaths per year in England, many of which are preventable. The Cold Weather Plan aims to prevent avoidable harm to health, by alerting people to the negative health effects of cold weather, and enabling them to prepare and respond appropriately. The emphasis of this year’s plan is on long term planning and winter action and preparedness (levels 0 and 1). There are several interventions local authorities, the NHS, individuals and communities can do to help prevent cold-related illnesses, before cold weather sets in. These include having your flu vaccination if you are in a risk group, ensuring homes are properly insulated, and making sure heating systems are routinely checked. 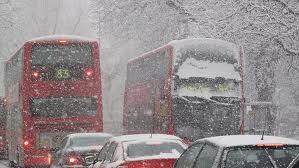 As in previous years, the Met Office will trigger cold weather alerts from 1 November 2013 to 31 March 2014, on the basis of either low temperatures of 2°C or less, or severe winter weather (heavy snow or widespread ice). Dr Paul Cosford, Director for Health Protection & Medical Director at PHE, warns that in colder weather, keeping yourself warm is essential to staying healthy, especially for the very young, older people or those with a chronic condition such as heart disease and asthma. Jane Ellison, Public Health Minister, points out that the elderly and those with long term illnesses are particularly at risk during the winter months, so it’s crucial that people stay warm and that we all find time to check in on those who may be vulnerable. Ms Ellison says the coalition government is also investing £500 million over the next two years to help ensure A&E departments are well prepared for winter. Cllr Katie Hall, Chair of the LGA’s Health and Wellbeing Board, said: “On average, 24,000 deaths occur in England per year as a result of the cold temperatures. Most are aged over 75, and their deaths could have been avoided with better preparation for cold weather. “As the cold weather sets in we need everyone in our communities to be on the look-out for signs that something might be wrong. Whether it be milk bottles left outside, newspapers stuck in the letterbox or curtains drawn all day, any sort of unusual activity could be a sign that something is wrong and that someone is in need of help. Keep warm by setting your heating to the right temperature (18-21°C). Look out for friends, relatives and neighbours who may be vulnerable to the cold. Have regular hot meals and drinks throughout the day and keep active to help your body stay warm. Get financial support to make your home more energy efficient, improve your heating or help with bills. Have your heating and cooking appliances checked regularly. Wear a few layers of thin clothing rather than one thick layer, and when you need to go outside wear shoes with slip resistant, good grip soles.